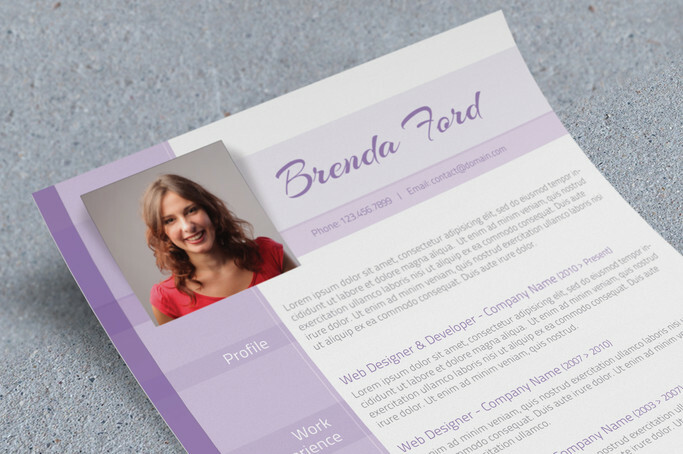 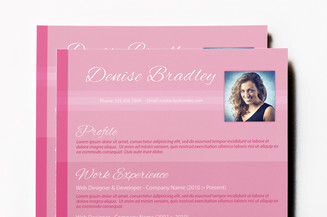 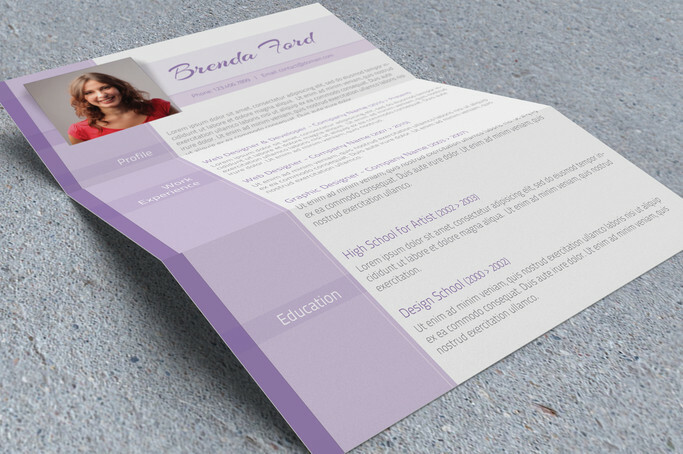 Do you love purple and prefer to use this color on your next resume? 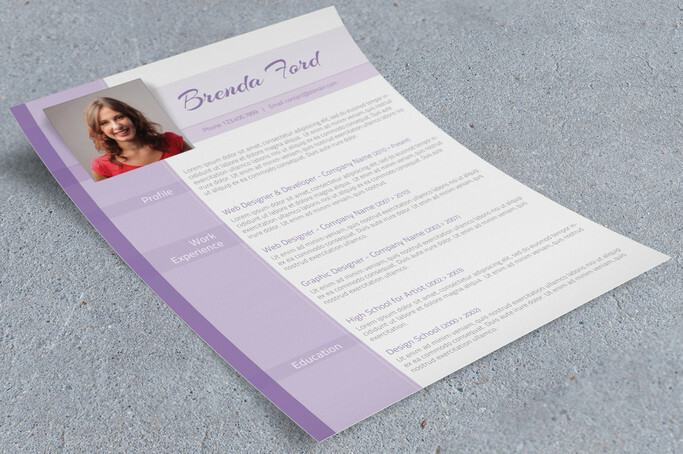 Showcase your skills in a beautiful way and get noticed with this purple themed CV template that is sure to be an eye-catcher. 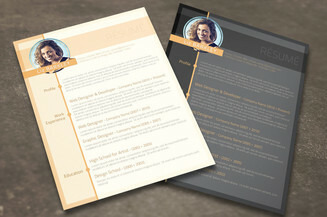 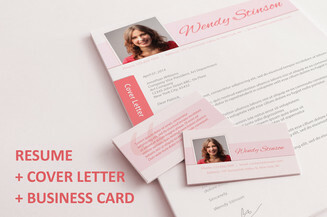 In order to give it some tang and flavor, we've incorporated not just a sleek and modern design but also used just right amount of this beguiling hue to give your document that striking yet professional appeal.